This article appeared in the February 2012 issue with the headline, "Breaking the dependence." Fuel efficiency has always been a watchword among government fleets, but thanks to a massive research program launched by the U.S. Department of Energy (DOE) nearly two years ago, fuel economy for light, medium and heavy-duty trucks should increase significantly in the very near future. And it better, because light trucks face new federal fuel economy improvement mandates starting in 2016 that roll on through 2025, while commercial vehicles must comply with similar regulations beginning in 2014 on into 2018. Energy Secretary Steven Chu says manufacturers are on the cusp of big breakthroughs in vehicle technologies. That is why the DOE is stepping up research and development partnership efforts like SuperTruck, a program that is helping fund nine projects with $187 million in federal grants to improve fuel efficiency for heavy-duty trucks and passenger vehicles. Chu unveiled the “SuperTruck” program two years ago, and three of the nine SuperTruck projects — accounting for $115 million of the $187 million in grants — will focus on increasing Class 8 long-haul tractor fuel efficiency by at least 50 percent by 2015. The four main manufacturers joining with DOE — Warrenville, Ill.-based Navistar; Denton, Texas-based Peterbilt Motors; Columbus, Ill.-based Cummins Inc.; and Portland, Ore.-based Daimler Trucks North America (DTNA) — are experimenting with advanced aerodynamics, engine idling reduction technologies, a waste heat recovery system to increase engine efficiency, advanced combustion techniques and powertrain hybridization. Cummins will receive more than $38.8 million to work with Peterbilt to combine a more efficient diesel engine, advanced waste heat recovery system, and fuel cell auxiliary power unit to reduce engine idling with an aerodynamic tractor and trailer combination. DTNA will get $39.5 million to focus on engine downsizing, electrification of auxiliary systems such as oil and water pumps, waste heat recovery, and improved vehicle aerodynamics and hybridization. Navistar will receive $37.3 million to improve truck and trailer aerodynamics, combustion efficiency, waste heat recovery, hybridization, idle reduction and reduced rolling resistance tires. DOE officials noted that the total contract value for the SuperTruck effort is approximately $270 million, which includes DOE grants alongside what its industry partners are spending. DOE expects 40 percent of the freight fuel efficiency improvements from the SuperTruck research to come from engine efficiency improvements, with the remaining 60 percent to come from other vehicle system design changes, such as aerodynamics, use of more light weight components and materials, drivetrain friction reduction, and wider use of hybrid powertrain systems, where smaller diesel engines are combined with electric motors and batteries. The department expects that some of the new technologies will begin to enter the market in about four years. Fuel Efficiency is a matter of concern for every automobile user. Even if the government officials are worried about the situation. We need to check this situation otherwise there would be a day where there would be no fuels. For this the government had launched an initiative to improve the fuel efficiency standards by launching DOE program. We know that most fuel consumption occurs in case of the heavy duty vehicles. It is because of the maximum loaded works and heaviest transportation by the heavy weight trucks and light weight trucks. Because of these are transportation vehicles, the use of fuel is maximum for these vehicles. So these heavy duty vehicles are going to be fuel efficient very soon. If it happens, then it will be very helpful to the service providers and customers. It will be also better for the automobile industry and fuel industry. When you think about the way in which the global economy is going in, I think this is a positive development, although I think attentions should be turned to alternate methods of power, such as electricity. Personally I think that’s the future. 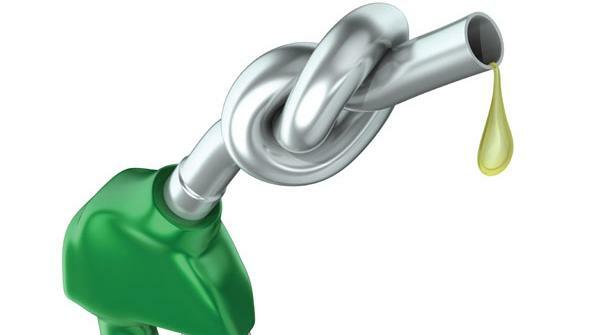 Increase in the rate of the vehicle fuels, automatically increase the travel expenses. Increase in traveling cost making much more problems for the public or passengers. Mostly, the higher percentage of the people belongs to the average families. So increase in travel expenses will make their life difficult. Basically, the people in rural areas suffering the most. In rural areas, the roads are well constructed and the use of fuels much more due to the under constructed roads. So the people have to pay more travel expenses for them. So the fuel price needs to be in control to minimize the travel expenses. I think it’s a good thing that they reveal their plans to the public via this article post. It may not show full transparency as what others say but it’s good to know that you let us in on your plans. After all, fuel efficiency is a primary concern of all consumers around the world. The best way to save money on gas is to drive a fuel-efficient car. It’s probably impractical to replace your current car for something that costs less to run, but if you’re in the market for a new vehicle, keep fuel economy in mind. There are many ways we can increase our fuel efficiency like firstly, check your tire pressure at least once a month. Under-inflated tires burn more fuel. Then, Corroded battery cables cause the alternator to work harder, using more gas. Have them cleaned as a matter of course with each engine check-up. Change the air filter at least the set number of times outlined in the owners manual, more if you drive in dusty conditions etc . There are many more ways. Don’t drive your car with dirty or clogged filters, such as the air filter or the oil filter if you don’t want to shell out at the pump. Get them cleaned or replace them.